Elgato, a leading provider of hardware and software for content creators and a division of Corsair, today announced the release of the Elgato Thunderbolt 3 Mini Dock, combining the industry-leading reliability and performance of Thunderbolt 3 with unmatched portability and accessibility for the most common ports and connections. The Thunderbolt 3 Mini Dock features HDMI 2.0, DisplayPort 1.2, USB 3.1 Gen 1, and Gigabit Ethernet ports to eliminate the need for multiple adapters-minimizing clutter and maximizing functionality. 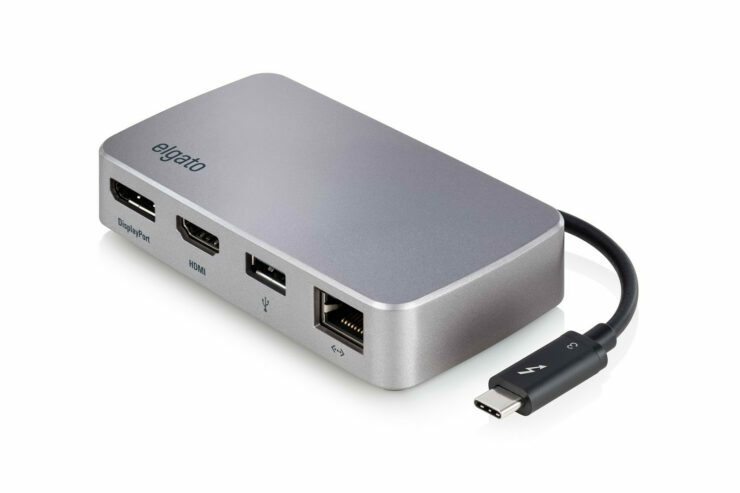 Whether you use a MacBook Pro or Windows notebook, the Elgato Thunderbolt 3 Mini Dock puts a wide array of the most commonly used display and data ports just a built-in Thunderbolt 3 cable away allowing users to get what they need without much fuss. 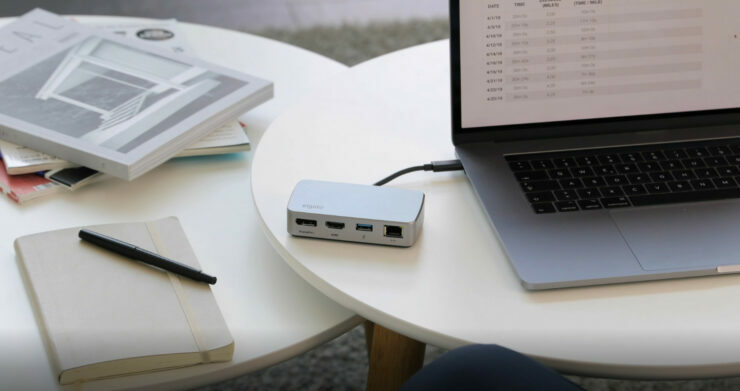 Taking advantage of Thunderbolt 3 speed with 40 Gb/s throughput, the Mini Dock ensures that all of your ports operate reliably at full performance. Plug into both HDMI and DisplayPort interfaces to simultaneously drive two displays at up to 4K resolution and 60 frames per second. Connect to the fastest wired networks with a Gigabit Ethernet port, and easily power the most demanding peripherals with USB 3.1 Gen 1. The Elgato Thunderbolt 3 Mini Dock combines all of these connections into an extremely compact, lightweight, portable design that fits into the palm of your hand without sacrificing the performance you need. HDMI 2.0 (up to 4096 x 2160 pixels at 60 Hz). Supports HDCP 2.2. The Elgato Thunderbolt 3 Mini Dock is available now on Amazon for $149.99 and should be available at other retailers very soon.